The Annual Declaration form is now available for owners to report their harvesting, destroyed timber, road building, road deactivation, and reforestation activities. One of Council’s administrative roles is to collect information on the forest management activities of Managed Forest Owners. Owners are required, by Section 20 of the Private Managed Forest Land Act, to submit an Annual Declaration each year that summarizes their forest management activities for the previous year. A link to the Annual Declaration form is available below. The form will also be mailed to owners in early February. Council encourages owners to use the fillable pdf form (available below) and submit by email. The completed form is due by May 1. 1. Do I need to complete an Annual Declaration if I have No Activity to report? Yes, an Annual Declaration is required even if no activity has taken place. No Activity means there was no harvesting, no destroyed timber, no road building or deactivation, and no declaration of restocking or successful regeneration for the year. Activities are described on the back of the Form. Our office accepts Declarations of No Activity by email at: office@mfcouncil.ca. A statement of ‘No Activity’ within the text of the email along with the owner’s name and managed forest number is sufficient. Alternatively, you may submit the Annual Declaration Form indicating ‘No Activity’ by mail. 2. When do I need to report harvesting activity or destroyed timber on my managed forest? 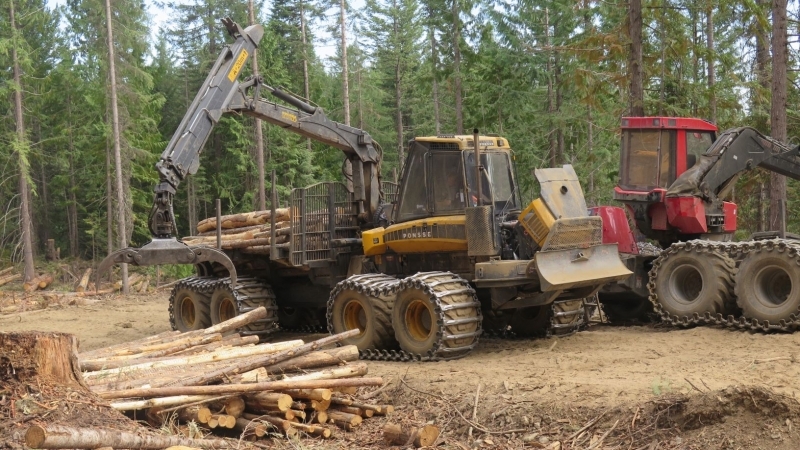 Harvesting of any volume of wood or wood product, including firewood, that is transported off the managed forest property. A harvest of 20 cubic metres or more during the year, regardless of whether it leaves the property. The harvest of any volume that results in an opening equal to or greater than 1 hectare. For example, the continued selective harvest of individual trees in adjacent areas could result in the creation of an opening equal to or greater than 1 hectare that no longer contains the minimum number of trees per hectare, therefore triggering a restocking obligation. Areas of destroyed timber equal to or greater than 1 hectare. The harvest of any volume less than 20 cubic metres that does not result in the creation of an opening equal to or greater than 1 hectare, AND is not transported off the managed forest property. 3. When do I need to report restocking or successful regeneration? Openings equal to or greater than 1 hectare that have been harvested or destroyed are required to be restocked and successfully regenerated as set out in the Council Regulation. Regulatory requirements were outlined in a previous post that you can view here. Reporting of restocking and successful regeneration on the Annual Declaration is required within the timelines that the obligations are due. For example, if an owner harvested an area in 2015, it is required to be restocked by 2020. Restocking can be reported any time after harvest up to the Annual Declaration for 2020. Owners can contact the Council office if unsure of their reforestation obligations and reporting requirements.